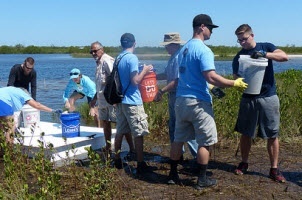 The people and organizations who make the Manatee County Water Atlas possible. 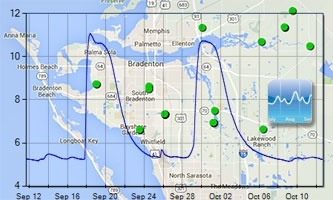 The Manatee County Water Atlas is designed to provide citizens, scientists, professionals, and planners with comprehensive and current water quality, hydrologic, and ecological data, as well as information about recreational opportunities and a library of scientific and educational materials on water resource issues. Typically, the scientists and citizens who live and work on water resources have found it difficult to gather the information they need from the myriad of agencies that collect the related data. To solve this problem, we conceived of the Atlas as a "one stop information shop" for concerned citizens and scientists alike. The Atlas functions as a warehouse for a variety of water resources information, including documents and educational links. We have also strived to make the Atlas a rich resource that educates citizens about the data presented and gives scientists easy access to the specialized information they need. 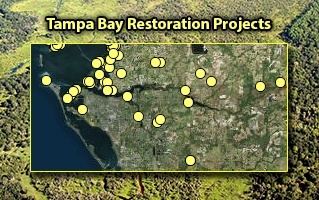 We encourage you to use the Atlas as a tool to help in maintaining and improving our vital water resources. 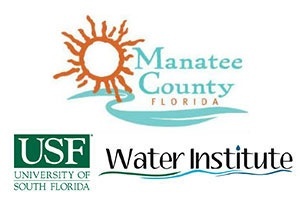 Many thanks to all the wonderful people who have participated in the process of designing and developing the Manatee County Water Atlas.